Shakespeare’s most popular comedy deserves its reputation, for here the “lunatic, the lover and the poet” combine with the magical world to create a perfect mix of comedy and romance. This production by the TNT Theatre Britain combines music, dance, and song with a powerful conflict that demonstrates not just the joy but also the pain and madness of love. All ages. RMB 80-380 (buy tickets here). Starts 9.30pm. 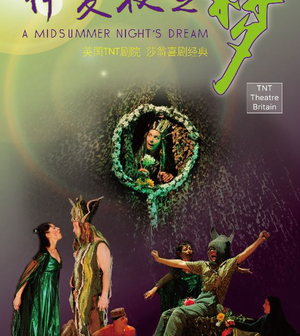 Nine Theater 9个剧场.